Although Chapter 7 and Chapter 13 bankruptcies are often effective ways to resolve your debt problems, bankruptcy is not always the right solution. In these situations, Debt Settlement can be a great alternative to bankruptcy. With Debt Settlement, we handle your creditor calls while you focus on saving enough money to allow us to negotiate favorable settlements. Too Many Assets: Although California offers its residents generous exemptions to protect assets in bankruptcy, some clients simply have assets that cannot be protected. For example, you may own valuable stocks and bonds, or have significant equity in real property or a business. In these cases, clients often elect to settle their debt at a steep discount rather than risk their assets in bankruptcy. Too Much Income: Occasionally, we meet with clients who make too much money to qualify for bankruptcy. Chapter 7 debtors must pass an income test referred to as the “Means Test.” If you fail this test, Debt Settlement may be an affordable way to eliminate your debt. Ineligible for Bankruptcy: If you have previously filed a Chapter 7 bankruptcy petition, you are not eligible to file another Chapter 7 until eight years after the previous case was filed. Waiting may be infeasible or impractical. In these cases, Debt Settlement may be the right solution. Opposed to Bankruptcy: Some people refuse to consider bankruptcy as an option. If you are one of those people, we are happy to structure a Debt Settlement program that suits your needs. We understand that bankruptcy is not for everyone, and we have proven countless times that bankruptcy is not the only way out of debt. If you have unsecured debt, such as credit card debt, medical bills, or repossessions, you know how difficult it can be to claw your way back to solvency. With the high interest rates that creditors charge, making just the minimum payments can be very difficult, if not impossible. Moreover, making just the minimum payments is discouraging when you realize how many years it will actually take to pay off the debt. Typically, the great majority of your minimum payments is applied to interest, which explains why your balances barely decrease. When you retain our services, you no longer make any payments to your creditors, and you immediately refer all creditor calls to our office. When creditors contact us, they are keenly aware that we are bankruptcy attorneys. As such, we have tremendous leverage in negotiating settlements with your creditors. Even the most aggressive collectors understand that bankruptcy would likely result in a discharge of the entire debt. Ultimately, we are able to negotiate settlements that are typically significantly lower than what those heavily-advertising debt settlement companies are able to achieve. 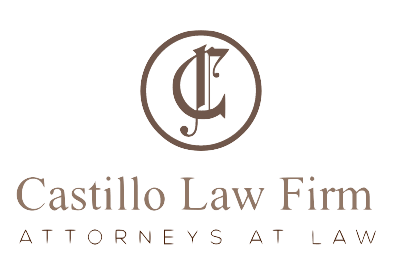 the Castillo Law Firm charges convenient flat fees and offers long-term payment plans for those that qualify. The majority of our practice is devoted to bankruptcy, so we can provide skilled and knowledgeable services in an efficient manner. With the help of the the Castillo Law Firm in just a short period of time you may bay be able to eliminate debts and be on the way to a more secure financial future. Castillo & Peratla, LLP can evaluate your situation in a free consultation. For a free initial consultation with a personal bankruptcy lawyer contact us now. Our firm serves clients in the Los Angeles, San Fernando Valley, Orange County and San Bernardino. This Bankruptcy Law Firm is a federally designated DEBT RELIEF AGENCY as defined in the a2005 amendments to the US Bankruptcy Code. This law firm provides legal advice regarding the pros and cons of filing bankruptcy and represents people and small business in filing for bankruptcy relief under the US Bankruptcy Code. Debt Relief Agency Notice. This web site might be characterized as an advertisement under California’s State Bar Rules and is not intended to solicit clients for matters outside of the State of California. Always seek the advice of an attorney from your own jurisdiction before relying on information from this site or any web site.